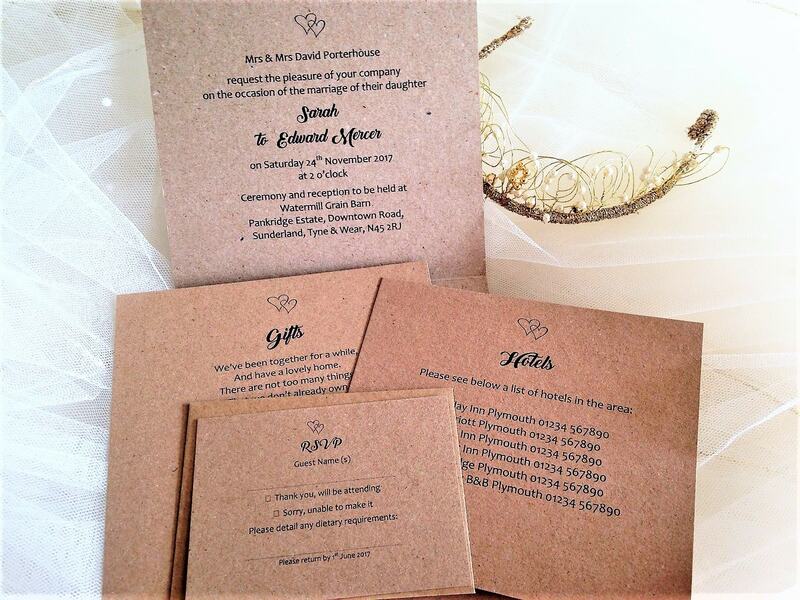 Rustic Kraft Pocketfold Wedding Invitations are right on trend for rustic, woodland and country themed weddings. 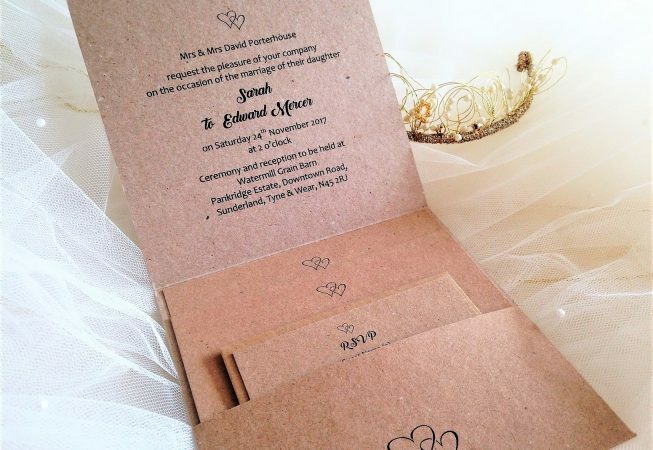 The matching insert cards are also printed on the same attractive brown flecked kraft card with a rough natural feel so all items inside the pocket match perfectly. 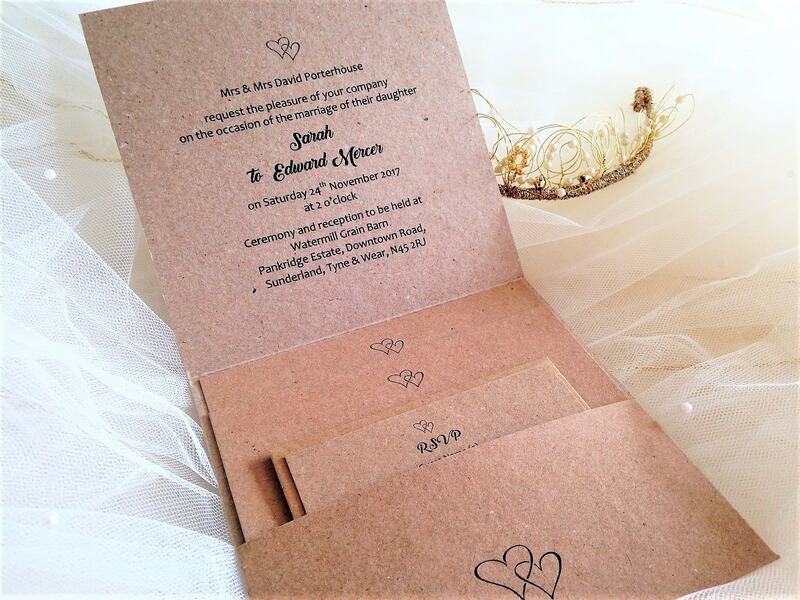 These rustic wedding invitations feature an attractive entwined heart design on the actual pocketfold and also the matching stationery inside. 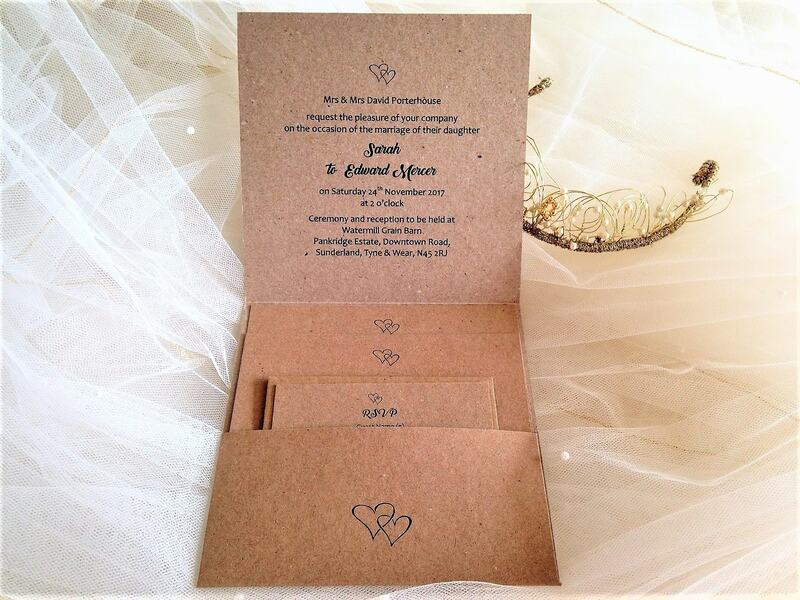 Additional insert cards can be purchased for 25p each. 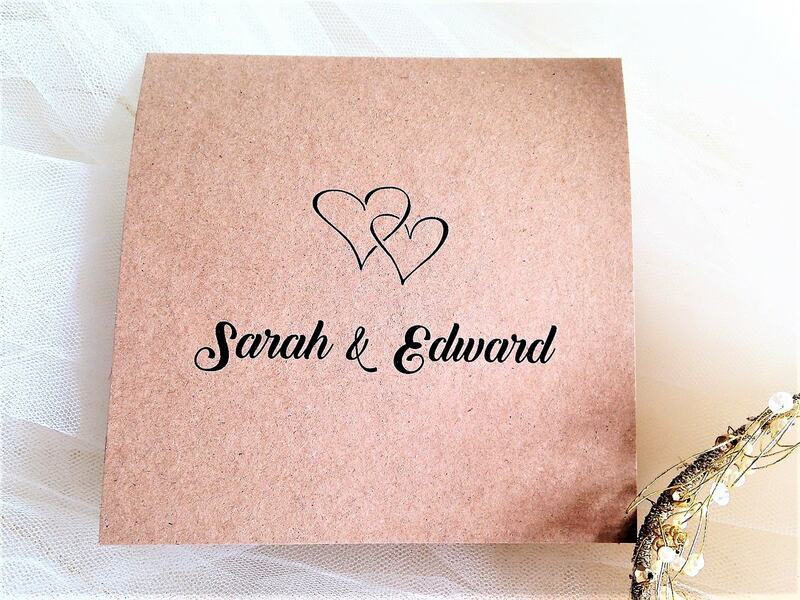 We can also print your guests names free of charge if you wish. An additional information card can be purchased for an additional 25p each – just detail this in the comments section of the order form and they will be added to your invoice. 15cm x 15cm when closed.